Now the Rock and Roll Hall of Fame is REAL. It’s incredible. I’m very flabbergasted….It’s a culmination of all you’ve dreamed about doing as a musician, reaching people, getting respect from other musicians. It’s incredibly emotional and getting involved in the last year was really stunning and scary and great at the same time. It was an amazing thing to do. It’s a roiling pot of emotions. I’m amazed. I’m happy. I’m honored. I’m flabbergasted. It feels so surreal. It’s kind of still sinking in. When I think about all the musicians in the history of music that have been out there making records and touring, that I get chosen into this elite group of musicians is pretty incredible. — Read the rest HERE. 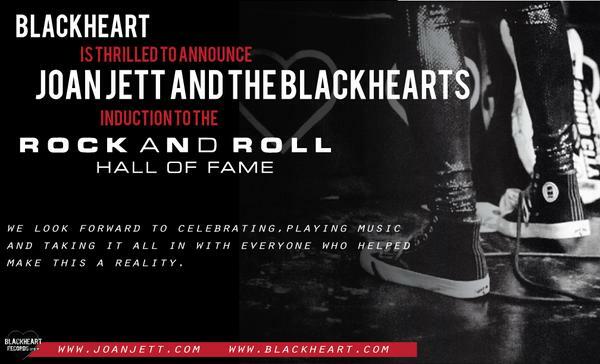 It’s practically impossible to mention Jett and the Blackhearts getting inducted into the Rock and Roll Hall of Fame without mentioning “I Love Rock and Roll.” It’s unnatural right. So there, it’s mentioned. But Jett is so much more than one iconic rock anthem, and it bears reminding that she absolutely killed “Smells Like Teen Spirit” performing with the remaining members of Nirvana last year. I guess a light went off at HOF when they saw Jett play a Nirvana song last year & they said "hey, maybe we should put her in?" Ya think?!? Jettheads can't stop smiling today, I cant help but wonder where the idiots are that told @joanjett she couldn't play RnR..look at her now! Congrats, @joanjett, on your much deserving spot in the Rock and Roll Hall of Fame! I don't know what took so long. Rock on! I love you. Long overdue: Finally, Joan Jett has been voted into the Rock and Roll Hall of Fame! YO JETTHEADS, WE DID IT!!! 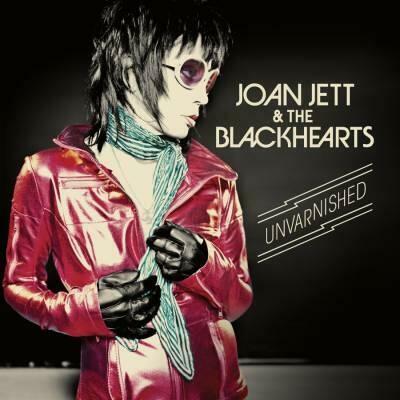 This entry was posted in Awards and tagged 2015 Rock and Roll Hall of Fame, Blackhearts, Joan Jett, RockHall2015, RRHOF. Bookmark the permalink.